The power of choice is a wonderful gift from God. Yet there is one choice God never allowed man to exercise. No one can choose whether or not to be born with a sinful nature. The decision which affects our lives the most was made long, long ago by our forefathers. We have absolutely no choice about the kind of nature we possess at birth. It is a sinful nature. If unchanged it will lead to eternal death. But even though we are born with a fallen nature, God gives us a choice about changing that nature. It is a personal, sovereign choice that no one can take away from us. Without doubt it constitutes the most important decision that any person faces during his lifetime. The choice is whether we yield to that sinful nature and die eternally, or receive a new nature through faith in Christ and live eternally. Much disagreement exists over the kind of choice offered to each one of us. Millions believe that God opens the door for only a once-in-a-lifetime decision and then closes that door forever. It is as though God says, "I'm going to give you only one decision about changing over from your doomed condition. Once you decide to be saved you can never choose to be lost again. When you accept Jesus as your Saviour, it will be the final choice you will ever make about your eternal destiny. If you change your mind later and repudiate your decision, it will be too late. No matter how deeply and sincerely you desire to be lost and repent of your repentance, you cannot escape from eternal life. No amount of bitter rebellion, deliberate blasphemy, or iniquitous living can change that once-for-all decision to be saved. I will not allow you any further choice after you accept Jesus as your Saviour." Basically, this is the belief of a large segment of Christians who advocate the doctrine of eternal security. Another equally sincere group of Christians believes that God leaves the door open for us to change our minds at any time. They believe that salvation is not predicated upon only one irrevocable act or choice of the past, but upon a continuous, personal relationship of the believer with Christ. When the decision to break the love-relationship is made by willful disobedience, the believer ceases to be a true believer and forfeits any assurance of salvation. The fantastic implications of this issue are overwhelming. If there is an unconditional future security for all believers, it has to be the most wonderful doctrine in existence: but if it is not true, it surely is one of the most dangerous heresies in the world. Millions could be saved or lost over the decision they make on this one point. Let me give you an example of how it influences the destiny of people day by day. At one of my crusades there were more than one hundred people attending who had been steeped in the belief of eternal security. They were thrilled by the revelation of Bible truth as they listened. The seventh-day Sabbath particularly excited them because they had never before understood it. All were completely convinced that Saturday is the true Sabbath of the Scriptures, and they eagerly accepted the great prophetic doctrines also. But of those hundred people only a very few made any decision to obey the truth. Practically all of them had Sabbath problems connected with their jobs. It would have meant inconvenience, economic hardship, and possible loss of employment for them to follow the truth all the way. Each one who rejected the message gave me the same explanation - "We are already saved," they said, "and we cannot be lost. Why should we run the risk of losing our jobs by keeping the Sabbath? We would not be any more saved by keeping the Sabbath than we are right now, and we certainly cannot be lost by breaking the Sabbath." Do you see how their argument was consistent with their doctrine? To them salvation was not connected with obedience, or advancing in spiritual growth. It all focused on a past moment when they made a decision for Christ. Whether they obeyed or disobeyed any subse- quent revelation of truth could have no influence whatsoever on their final destiny. They could break the fourth commandment, the seventh commandment, or all of them, and still feel eternally secure in the promise they had claimed "when they were saved." To be sure, these people believed that their disobedience might affect the joy and peace of their relationship, but never the assurance of ultimate salvation. Obviously, this doctrine needs to be deeply examined. Too many eternal consequences hinge upon its acceptance or rejection. We need to answer questions like these: Can we change our minds about being saved? Do we give up our power of choice when we are converted? Does salvation consist of one grand, holy moment of decision, or must we continue in the saving grace of Christ after that decision? Can God take defiling sins into His holy kingdom? Fortunately, the Bible has hundreds of beautiful, clear texts to answer these questions. We will look at them together, and also examine a few texts which have been interpreted to uphold the doctrine of "once saved, always saved." Speaking of the New Jerusalem, John said, "There shall in no wise enter into it any thing that defileth." Revelation 21:27. Jesus said, "Blessed are the pure in heart: for they shall see God." Matthew 5:8. Paul repeatedly wrote about the exclusion of sinners from heaven. Sin is the only thing that defiles in the sight of God, and no one who willfully practices sin will ever enter into His kingdom. Paul wrote, "Know ye not that the unrighteous shall not inherit the kingdom of God? Be not deceived; neither fornicators, nor idolaters, nor adulterers, . . . nor thieves, nor covetous, nor drunkards . . . shall inherit the kingdom of God." 1 Corinthians 6:9, 10. Nowhere in the Bible is entrance into God's kingdom tied to a momentary - or even temporary - faith experience of the past. Salvation is a dynamic, growing relationship with the only One who has eternal life to bestow. It requires continuing contact in order to receive it. The very life of God can be shared with men but NEVER APART FROM A LIVING UNION WITH CHRIST! "He that hath the Son hath life; and he that hath not the Son of God hath not life." 1 John 5:12. Just as the constant creative energy of God is necessary to sustain the universe and to hold atoms together, so His divine power is constantly needed to maintain spiritual life in the soul. When a person willfully chooses to separate from God, the contact is broken, and the spiritual life ceases to flow. God will not violate the will of anyone in making that choice either. For proof that Christians can lose their connection with Jesus and be lost, read John 15:1-6. There Christ explains one of the great mysteries of eternal life. "I am the vine, ye are the branches: He that abideth in me, and I in him, the same bringeth forth much fruit: for without me ye can do nothing. If a man abide not in me, he is cast forth as a branch, and is withered; and men gather them and cast them into the fire, and they are burned." Verses 5, 6. Notice that the secret of continued life is continued abiding. If a person does not abide in Christ, he withers, dies, and is finally burned up. This proves that the relation of a believer to Christ is never a static thing based only on a past experience. It is a current, mutual sharing of a common life which is drawn from Him "who is our life" (Colossians 3:4). When the branch is separated from the vine, the source of life is gone, and only death can result. These words of Jesus are too clear to be misconstrued. Even believing, trusting Christians who are connected to the living vine may choose to separate from the vine. When they do, they die and will be cast into the fire and burned. Nothing can wither and die that has not previously been alive. Security is eternal only for those whose faith is eternally fixed on Jesus, and whose life is connected to the one who is our life. Obviously, we can choose to be lost no matter how saved we once were. Everything depends on maintaining the divine connection with the true vine. Jesus taught the same solemn truth about losing eternal life in the parable of the sower. In explaining the seed which fell among the thorns and the rocks, Jesus said, "Those by the way side are they that hear; then cometh the devil, and taketh away the word out of their hearts, lest they should believe and be saved. They on the rock are they, which, when they hear, receive the word with joy; and these have no root, which for a while believe, and in time of temptation fall away." Luke 8:12, 13. There are several things to note about this parable. First, only one class will finally be saved - the ones who brought forth much fruit. The groups represented by the wayside and rocks will not be saved. In verse 12, the wayside hearers did not have a chance to "believe and be saved," but in the next verse the stony ground hearers do "for a while believe." What kind of "believing" is this? According to verse 12, it is the kind that saves. So the ones who believed for a while were saved for a while, but in time of temptation they fell away. Eventually, of course, they were lost along with all the others, except the fruit-bearers. Here is an unequivocal teaching of our Lord that people can have a saving faith for a while, and yet lose it and be lost. Those who read the record of the Gospels carefully will find repeated authority from Jesus to renounce the doctrine of eternal security. In Luke 12:42-46 Christ described in another parable how a faithful servant could turn into an unfaithful one. After asking, "Who then is that faithful and wise steward, whom his lord shall make ruler over his household . . . ?" Jesus answers His own question: "That servant, whom his lord when he cometh shall find so doing . . . he will make him ruler over all that he hath." Then Christ explains how that servant could lose his reward. "But and if that servant say in his heart, My lord delayeth his coming; and shall begin to beat the menservants and maidens, and to eat and drink, and to be drunken; The lord of that servant will come in a day when he looketh not for him, and at an hour when he is not aware, and will cut him in sunder, and will appoint him his portion with the unbelievers." Verses 45,46. Here is a perfect example by the Master Teacher as to how a faithful and wise servant can be punished with the unbelievers. Jesus was talking about a man whom He had seen faithful enough to trust with heavy responsibilities. Undoubtedly, this servant represents those who carefully served the Lord as true believers. But what happened? That very faithful servant departed from the path of faithfulness and reaped eternal ruin and death. Does this not also remind us of the words of Hebrews 10:38, "Now the just shall live by faith: but if any man draw back, my soul shall have no pleasure in him." The servant in the parable, who was a believer, is now punished with the unbelievers. The faithful can draw back to perdition. One more parable of Christ spotlights the fact that continued forgiveness is conditional for the believer. The story is found in Matthew 18:21-35, and revolves around the forgiveness of God. A certain king responded to the pleas of his servant and forgave him a large debt. That servant went out and found a fellow servant who owed him a small amount and showed no mercy, throwing him in prison because he could not pay. When the king heard what had happened, he rescinded his cancellation of the large debt and had his servant thrown to the tormentors till he paid in full. The secret lies in maintaining the righteous relationship with the Source of salvation. Jesus said, "He that shall endure unto the end, the same shall be saved." Matthew 24:13. No one will be saved finally who does not hold out against a course of deliberate sin in the power of God. Those who do not endure to the end will have their names blotted out of the book of life. Advocates of eternal security deny it could ever happen, but read the frightening possibility for yourself in Revelation 3:5, "He that overcometh . . . I will not blot out his name out of the book of life." The implication is clear that those who are not overcomers - who do not endure to the end - will have their names blotted out. All these verses are really saying the same thing. Willful sin shatters the relationship by which eternal life is obtained. There is an eternal "if" in every consideration of eternal security. "If we walk in the light . . . the blood of Jesus Christ his Son cleanseth us from all sin." 1 John 1:7. "If that which ye have heard from the beginning shall remain in you, ye also shall continue in the Son, and in the Father." 1 John 2:24. "If any man draw back, my soul shall have no pleasure in him." Hebrews 10:38. "If a man abide not in me, he is cast forth as a branch." John 15:6. "If a man keep my saying, he shall never see death." John 8:51. "If thou continue in his goodness: otherwise thou also shalt be cut off." Romans 11:22. "If ye do these things, ye shall never fall." 2 Peter 1:10. "For we are made partakers of Christ, If we hold the beginning of our confidence steadfast unto the end." Hebrews 3:14. "If we endure, we shall also reign with him: If we deny him, he also will deny us." 2 Timothy 2:12 (RSV). "If we sin willfully . . . there remaineth no more sacrifice for sins." Hebrews 10:26. "If any man love the world, the love of the Father is not in him." 1 John 2:15. "Ye are my friends, If ye do whatsoever I command you." John 15:14. "If ye live after the flesh, ye shall die." Romans 8:13. Paul recognized the fearful possibility of being cast out of God's presence in the end unless he curbed the fleshly propensities to sin. Said he, ". . . lest that by any means, when I have preached to others, I myself should be a castaway." 1 Corinthians 9:27. The word Paul used - castaway - is very interesting. It is the Greek word "adokimos," which is translated "reprobate" in other places. In fact, 2 Corinthians 13:5 declares that Jesus Christ cannot dwell in the heart that is reprobate (adokimos). Titus 1:16 speaks of the abominable and disobedient who are "unto every good work reprobate (adokimos)." Surely Paul had nothing else in mind but that he could be lost if he allowed sin to recapture his life. Paul also speaks of the possibility of born-again believers suffering damnation because they receive the Lord's Supper unworthily. "For he that eateth and drinketh unworthily, eateth and drinketh damnation to himself." 1 Corinthians 11:29. No one can deny that these people were committed Christians partaking of the symbols of their redemption. Could they fall into damnation and be lost? Paul said they could. What is damnation? The same Greek word (krima) is found in 1 Timothy 5:12. "Having damnation (krima) because they have cast off their first faith." How plain it is that believers can "cast off their first faith" and go into final damnation. I have listened many, many times to an explanation of eternal security based upon the analogy of sonship. "My child is born into my family and he will always be my child. He cannot be unborn. Whether obedient or disobedient, he will always be my child." This reasoning avoids the central issue. The question is not whether a child can be "unborn," but whether it can sicken and die. No doctor admonishes new parents about the dangers of the baby getting unborn, but he has much to say about proper care to keep it from dying. In fact, if the baby is not fed, it will soon die. In the same way, Jesus said, "Except ye eat the flesh of the Son of man, and drink his blood, ye have no life in you." John 6:53. What was He talking about? In verse 63 He explained, "The words that I speak unto you, they are spirit, and they are life." Unless the Christian lives by the Word of God, he cannot continue to partake of the spiritual life derived from Him. Have we clearly established that continued obedience is necessary to ultimate salvation? Paul wrote, "Know ye not, that to whom ye yield yourselves servants to obey, his servants ye are to whom ye obey?" Romans 6:16. When a man chooses to obey Christ no longer and obeys the devil instead, he no longer belongs to Christ, but to Satan. "He that doeth righteousness is righteous . . . He that committeth sin is of the devil." 1 John 3:7, 8. The writer of the book of Hebrews gives scores of specific admonitions against falling away from the faith. Hebrews 10:23 opens up a line of argument against the once-saved, always-saved position that no one can refute. The passage begins this way: "Let us hold fast the profession of our faith without wavering." And after that, admonition is given those who might be tempted to absent themselves from the assembly of the believers. Apparently, this is one of the first signs of slipping backward. The author of this epistle, and I think it was Paul, includes himself in the warning. He writes, "For if we sin willfully after that we have received the knowledge of the truth, there remaineth no more sacrifice for sins, But a certain fearful looking for of judgment and fiery indignation, which shall devour the adversaries. He that despised Moses' law died without mercy under two or three witnesses: Of how much sorer punishment, suppose ye, shall he be thought worthy, who hath trodden under foot the Son of God, and hath counted the blood of the covenant, wherewith he was sanctified, an unholy thing, and hath done despite unto the Spirit of grace?" That is from verses 26 through 29. The people described herehad been sanctified by the truth, but fell away into willful apostasy. Now the last few verses of the chapter warn against the casting away of their confidence. Notice this carefully! "Cast not away therefore your confidence, which hath great recompense of reward. For ye have need of patience, that, after ye have done the will of God, ye might receive the promise. . . . Now the just shall live by faith; but if any man draw back unto perdition; but of them that believe to the saving of the soul." Verses 35 to 39. Now how could anybody state any more clearly the fact that one's eternal salvation is conditional on his remaining steadfast to the very end? Unless there were a possibility that one might cast away his confidence, that he might draw back unto perdition, why would this man of God sound such a warning as he did? In Hebrews 6:4-6 we find another striking statement. "For it is impossible for those who were once enlightened, and have tasted of the heavenly gift, and were made partakers of the Holy Ghost, And have tasted the good word of God, and the powers of the world to come, If they shall fall away, to renew them again unto repentance; seeing they crucify to themselves the Son of God afresh, and put him to an open shame." Now I think it would be very difficult to describe more fully a person who had been born again but who later rebelled against God and rejected Christ and spurned the Holy Spirit. He has placed himself out of God's reach by his own actions. Therefore, there is no possibility that such a man can be saved as long as he continues to crucify Christ by his disobedience. In the eleventh chapter of Romans, Paul is discussing the fact that many of the physical seed of Israel rejected God's Son and were thus cut off. The illustration is used of an olive tree. The branches were the children of Israel, but because of their unbelief, they were broken off, as you will read in verses 17 to 20. Then, some wild olive branches were grafted in, which represents the Gentile Christians. Now note this admonition: "For if God spared not the natural branches, take heed lest he also spare not thee. Behold therefore the goodness and severity of God: on them which fell, severity; but toward thee, goodness, IF THOU CONTINUE IN HIS GOODNESS: OTHERWISE, THOU ALSO SHALT BE CUT OFF." Verses 21 and 22, emphasis added. Please note that any security for those branches depended entirely upon their connection with the tree. The security was conditional. Let's see whether Peter agrees with these sentiments of Paul. In his second epistle, the first chapter, are listed a number of virtues which should be manifested in the life of every Christian. These are mentioned in verses 5 to 7, and notice that he is writing to "them that have obtained like precious faith with us through the righteousness of God and our Saviour Jesus Christ." Verse 1. Then they had been given "all things that pertain unto life and godliness, through the knowledge of him that hath called us to glory and virtue." Verse 3. It is very apparent that Peter is addressing these remarks to those who have been converted. But notice the warning he gives: "But he that lacketh these things is blind, and cannot see afar off, and hath forgotten that he was purged from his old sins. Wherefore the rather, brethren, give diligence to make your calling and election sure: for if ye do these things, ye shall never fall." Verses 9 and 10. Surely this indicates that Christians can fall from grace. They can turn back from following Jesus. They can even become apostates in the truest sense of the word. In the third chapter, Peter goes on to say, "Wherefore, beloved, seeing that ye look for such things, be diligent that ye may be found of him in peace, without spot, and blameless." Verse 14. "Seeing ye know these things before, beware lest ye also, being led away with the error of the wicked, fall from your own steadfastness." Verse 17. So we see that Peter does agree with Paul that Christians need to be on guard constantly lest they be led astray, and he indicates the sad fate of those who turn back into sin after they are converted. 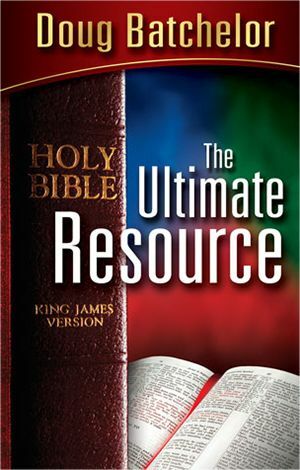 One of the strongest texts in the Bible that proves a person can turn away from Christ and be lost even after he has made a profession of being saved is 2 Peter 2:20-22: "If after they have escaped the pollutions of the world through the knowledge of the Lord and Saviour Jesus Christ, they are again entangled therein, and overcome, the latter end is worse with them than the beginning. For it had been better for them not to have known the way of righteousness, than, after they have known it to turn from the holy commandment delivered unto them. But it is happened unto them according to the true proverb, The dog is turned to his own vomit again; and the sow that was washed to her wallowing in the mire." The lesson here is obvious. Now, those who take a position for unconditional security say that God's sons cannot be represented by dogs and sows. Well, maybe they can't, but Peter did - and it is the most apt of illustrations. The proverb is painfully plain. They had escaped the pollutions of the world through the knowledge of the Lord and Saviour Jesus Christ. They had been converted. They had joined Christ on His side. They had turned their lives over to Him, but they remembered the world and the "wallow" of sin. Like the Israelites coming out of Egypt, they remembered the "flesh pots," the "leeks and onions." They remembered the pleasures of sin; so, leaving Christ they went back into the world like the hog returns to its wallow in the mire. Certainly no Christian should imitate the habits of a hog, but Peter's proverb shows that it is possible. The Spirit of God is not silent on this point. Listen: "Now the Spirit speaketh expressly, that in the latter times SOME SHALL DEPART FROM THE FAITH, giving heed to seducing spirits, and doctrines of devils." 1 Timothy 4:1, emphasis added. When will this happen? When will some depart from the faith? In the latter times. That would be right now, wouldn't it? That would be the times in which we are living and the times immediately before us. If you haven't thought of it before, these are dangerous times. And if you are still unconvinced, thoughtfully read the headlines of tomorrow's newspaper. On this point "the Spirit speaketh expressly." Just what does that mean? It means the Spirit speaks plainly, clearly - so clearly it is impossible to misunderstand. All right then, what would some do? Some would depart from the faith. So, it is possible to leave the faith, isn't it? Some do it. They have been in the faith, they have worshiped with the brethren, they have attended church and prayer meeting. They have been actively promoting the gospel, they have given of their means, they have been pastors, officers of the church, and leading laymen; nevertheless, they leave the faith. They are not steadfast and faithful. In the last days come perilous times, with persecutions and serious difficulties, and some do not stand. They are tempted by the things of the world and are seduced by spirits of devils. Sad to say, they give up their allegiance to the Man of the cross. They were on Christ's side, but now they side with His enemy. Please don't missunderstand. If you want unconditional security, you can have it. It is in Christ, on a day-by-day, moment-by-moment basis. When you take Christ and stay by, you will persevere. There is, and can be, no failure on Christ's part. He will not fail; He is faithful. "Cast thy burden upon the Lord, and he shall sustain thee." Psalm 55:22. He will stand by you as long as you stand by Him. Jesus said of Himself, "I am the way, the truth, and the life." John 14:6. And John wrote of the Lord, "This is the record, that God hath given to us eternal life, and this life is in his Son. He that hath the Son hath life; and he that hath not the Son of God hath not life." 1 John 5:11, 12. Many non-Christians think they have security. They will tell you they believe God will admit them to heaven. They will say, "I am as good as people in the church," or "I feel I will be saved without going to church." But the truth is, no man is saved on the basis of his feelings. He may be sincere, but his sincerity will not save him. He may be honest, truthful, moral, and a first class citizen, but that won't save him. He may be liberal, a supporter of the church and a giver to the needy, but neither will that save him. No man is saved by his works, good as they may be. Remember this, and please never forget it: Christ is the Saviour, not your gifts, not your works. He offers you salvation as a free gift. It is in Christ, and when you receive Christ, you have salvation. "He that hath the Son, hath life." 1 John 5:12. But if you don't have the Son, you don't have life, and you cannot have eternal security until you have and keep Christ the Son. "Nevertheless, I have somewhat against thee, because thou hast left thy FIRST LOVE. Remember therefore from whence thou art fallen, and repent, and do the first works; or else I will come unto thee quickly, and will remove thy candlestick out of his place, except thou repent." Revelation 2:4, 5, emphasis added. For the Christian to leave his first love, is to backslide, to fall away, to leave the Lord and His service, and to go over to the service of sin, Satan and the world. The Lord calls upon all such to repent and do their first works (the fruits of love), or else - else what? "I will take thy candlestick out of his place." This is an ultimatum from the Lord. If the sinner responds, repents, returns to his first love, and does his first works, all is well and good - he will be saved. But it is his to choose. If he does not do this, his light is removed, goes out, and the backslider is lost. No, far from it. That was the case of the first king of Israel, Saul. It is written of Saul that he was "turned into another man." "And the Spirit of the Lord will come upon thee, and thou shalt prophesy with them, and shalt be TURNED INTO ANOTHER MAN." 1 Samuel 10:6 emphasis added. Yet Saul backslid from his high and exalted position, disobeyed the Lord, and at last took his own life (1 Samuel 31:1-6). It cannot be said in this case that Saul was not converted, because God says that he was. Yet, he took his own life with no opportunity of repentance. Finally, let us look at the text which has probably been quoted more than any other to support the doctrine of eternal security. Jesus said, "I give unto them eternal life; and they shall never perish, neither shall any man pluck them out of my hand. My Father, which gave them me, is greater than all; and no man is able to pluck them out of my Father's hand." John 10:28, 29. What a tremendous promise this should be for every trusting child of God! At first glance, it does seem to guarantee some sort of immunity against spiritual loss, but we have not read the entire text. Verse 27 is an integral part of the thought, and it lays down a specific condition for the fulfillment of the promise in verses 28 and 29. 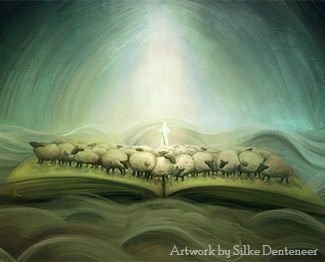 "My sheep hear my voice and I know them, and they follow me: And I give unto them eternal life." Please notice that it is only God's true followers who nestle safely in His protecting hand. He gives eternal life only to the faithful sheep who hear and follow Him. It is this hearing and following which provides immunity against being plucked away by the devil or his agents. The protection is from enemies without who seek to carry off the sheep, but not from unfaithfulness of the sheep who might choose not to follow any longer. No one can pluck them out of the Father's hand, but they may choose to jump out at any time. God never even hints that He will interfere with the freedom of choice of His followers. Christians can choose to be lost just as surely as sinners can choose to be saved. Just think how useless would be all the hundreds of biblical warnings against apostasy if it were impossible to experience it. Why would the Spirit have led Paul, Peter, and all the others to pen such solemn threats and admonitions against eternal loss if they were in no danger of suffering it? And if it is true that the "once saved" are eternally secure, surely the devil would know it. Therefore, he would never waste any time on believers, knowing how impossible it would be to cause them to be lost. Yet, we all know by experience that Satan works even harder to pull away the saints from following Christ. We have to conclude that salvation does not consist of a single, irrevocable commitment, whether past or present. Being saved is the experience of living Christ's own life by divine imputation and impartation. It is never a reality except in continual, dynamic relationship with Jesus, the source of eternal life. Being saved must be spoken of in all three tenses of time in order to be completely biblical. It has happened, it is happening, and it will happen. Perhaps, this illustration by Glenn Fillman will help explain it. Bill Jones is fishing several miles out in the ocean. His boat capsizes and sinks to the bottom. He is unable to swim to safety. Just then, another fishing boat comes along, but it is so heavily loaded that it is impossible to take on another passenger. Because they want to rescue the doomed man, however, the crew throws him a rope. "Here, take this rope," they say. "We will tow you to shore." As he takes the rope, Bill Jones says, "Thank God, I am saved!" And he is saved, as long as he holds on to the rope. Salvation is his, but he has a part to play in it. If he should at any time release his grasp on the rope and refuse to take it again, he would be lost. So it is with a person who has been rescued from sin. He remains saved as long as he holds on to the hand of Christ. If he should decide to release that hand and clasp the hand of the devil, he would be lost. His salvation depends on his decision and his action. Actually, one can properly speak of salvation in three tenses - past, present, and future. He can say, "I have been saved" when he takes the rope, "I am being saved" as he is being towed to shore; and "I shall be saved" when he plants his feet firmly on shore. A converted person -has been saved- from the penalty of sin. We call that justification. He -is being saved- from the power of sin, and we call that sanctification. He -shall be saved- from the presence of sin when Christ comes, and that will be glorification. All three of these tenses are used in the Bible in connection with being saved. In Romans 8:24 is the expression, "We are saved by hope." Weymouth is a more accurate translation. He says, "We have been saved," past tense. The Revised Standard Version correctly renders the phrase in 1 Corinthians 1:18 as "To us who are being saved." Then Acts 15:11 states, "that through the grace of the Lord Jesus Christ we shall be saved." So you see past, present, and future. Now let's make sure that no one gets the wrong impression from our illustration of the man being rescued from drowning. Does the fact that he must cling to the rope to be saved, mean that we can earn our salvation by our own works? Absolutely not, a thousand times no! Remember that he was being towed by a power other than his own. He was merely cooperating with that power. He was holding on to the rope. He had to do that in order to be pulled to safety. As Christians we must confess our faith in Christ, we must remain steadfast to Him, we must bring forth the fruits of obedience; that is our part in holding on to Christ. He will never let us go. The only way we can separate ourselves from Him is to cut ourselves off deliberately and disconnect ourselves from Him, but we have the power to do that. We are still free moral agents. Our will has not been removed merely because we have become Christians. At any point in our Christian life we can decide to turn back, to choose the things of the world rather than the things of God and heaven. We are saved only through faith in Jesus Christ as our Saviour. "There is none other name under heaven given among men, whereby we must be saved." Acts 4:12. However, we show our faith by our works. It is a manifestation of our love for Him. Keeping God's commandments and doing right are merely the result of His Holy Spirit dwelling in the heart. These are the fruits of the Spirit. We do these things, not in order to be saved, but because we are saved, and as long as we love the Lord with all our heart, we are going to be obedient to Him. We will not let go of the rope. We will continue to cling to Christ as our only hope.